Not really understanding the relevance of counting windows, Abbii turned to count them. Startled by Nate’s outburst, she glared at him, more out of shock than malice. Abbii shuffled in her place, not really understanding, but when Nate smiled, she did as she was asked. She closed her eyes, immediately feeling self conscious that Nate’s gaze was focused onto her. Keeping her eyes closed, Abbii took in Nate’s statement. She felt her heartbeat increase and her breath seemed shallow, but as she relaxed her shoulders, the rest of her body seemed to follow. She listened to the faint breeze that circled through the large space, hearing leaves pitter-pattering against the wooden floor. Although her mind was full of questions and worries and a fear that she would lose herself, Abbii found that an image began to form in her head. Bursts of blue and silver light soothed her, and once the image had focused, she realised why. She could see the lake at The Everglades, with the moon reflected clearly upon its surface. The stars were shining brightly, and the air was still. The feeling of calm which enveloped her felt uplifting. Not at all distracted by Nate’s words, Abbii kept hold of the calmness inside of her and expanded her mind in some way, feeling the energy of the sunlight. She could feel its warmth and the way it passed through the glass of the bay windows. The years of dirt and dust made no difference; the power of the sunlight beamed through it without faltering. Realising that she could sense several different areas of the sunlight’s energy, Abbii realised that each one represented one of the windows. 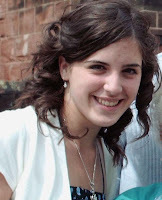 Books and writing was an interest that I began to develop from the first years of secondary school, and on my thirteenth birthday, I began to plan and design the idea to write a fantasy novel. I finished secondary school with high GCSE's and then went on into further education to study English and all aspects of art and design. After six years of writing, planning and overall editing of the book, it was successfully completed, containing over 82,000 words, and self published in the first week of 2011. With high expectations in myself, I immediately began to write a second novel in the series, while keeping my art and design a part of the process. The achievement of completing the first novel 'Purest Light,' allowed the ideas of the second to flow much easier and it was completed by early 2012. As I was writing the third and final book, New Beginnings, at the same time, the series was finished by its publication in 2013. 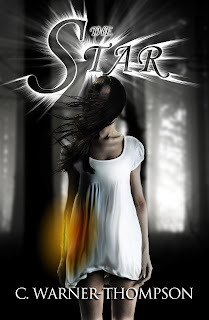 Writing is now a part of my everyday and I have started on my newest project, The Star, which is also planned to be the first of three. Only time will tell.